Hello! I'm back! Yesterday I dug in to my chocolate samples and today we're going to dig in to their single origin vanilla line up. I mentioned yesterday that Choctal is a young company that was nice enough to send over some free samples, but I didn't mention that you can buy their products online as well certain freezer aisles (at a minimum, I know they are in California Targets). All of their flavors are available in pint size or these convenient half cup single serve packages. Funny, there are no bean flecks in Indonesian and Mexican only has a few. Madagascar and PNG both have a ton though (YAY!). Granted, this may vary from pint to pint, but I doubt that it will be a reflection of the flavor profile. I expect Madagascar Vanilla to be my favorite, so let's try that first. Oh yeah, spot on, that's delightful. I could eat that in about 12 seconds. Excellent. 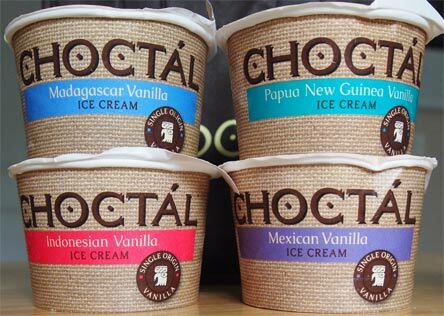 Hey Choctal, can I get a crate of this stuff sent to my house for further testing? This could easily go toe to toe with the best vanilla ice creams out there. Well done. Mexican Vanilla mentions coconut, but when I try it, I get... wow is that wonderfully complex. It's like they mixed in churros or something. There's almost a slight bit of cinnamon heat to it as well. Neat flavor. Indonesian Vanilla is our last stop and it's really different. I can't believe all that flavor comes from just the vanilla. It mentions a woodsy, floral flavor and I guess that's how you could describe it because I lack the words. I've had something similar before but I can't place it. It's a neat trick but definitely not a vanilla that fits in with my personal preferences. Well, that was fun! Like yesterday, I need to mention again that these are well made ice creams. Few ingredients + high quality = good product. I would definitely try these if you see them pop up in your freezer aisle. 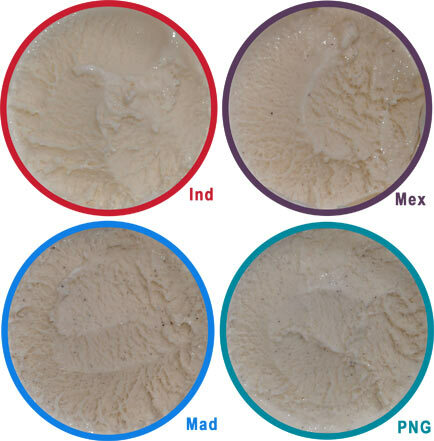 Thanks again to Choctal for the samples --- if you ever have some access inventory of the Madagascar (or the PNG) laying around, feel free to send those over, I'll take care of them. On Second Scoop: I still get that great churros vibe from the Mexican vanilla, and I only notice the smallest amount of heat on the aftertaste. Such a neat trick with this one. Also, I realized what the Indonesian reminds me of, the new Vanilla Life cereal! Hoping it won't take forever for these to show up in South Florida! Im very interested. Thanks for the comprehensive "research" you had to do for these past couple of reviews! Why did Papua New Guinea vanilla have a cherry flavor and how did you know to expect it? 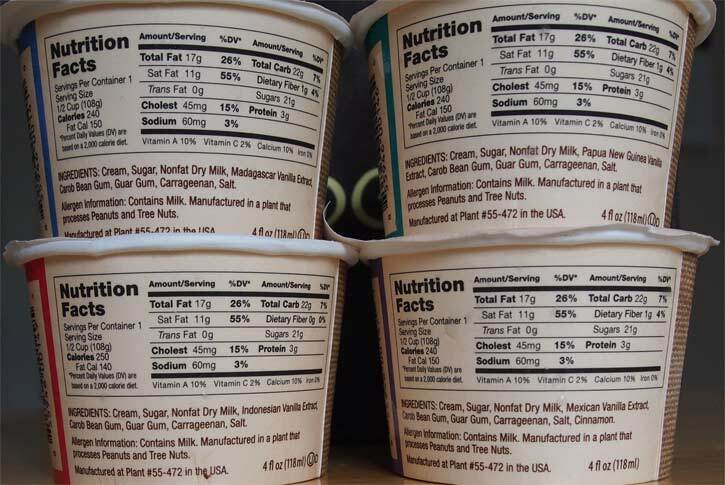 I forgot to take a good picture of it, but the cover of each container has a description of what to expect. my apologies for opening them too hastily!